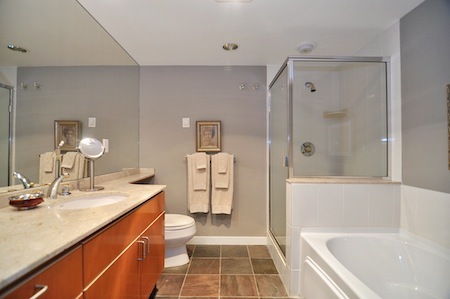 This amazing Pied-a-Terre two bedroom condo offers short term luxury in one of the city's most desirable areas. 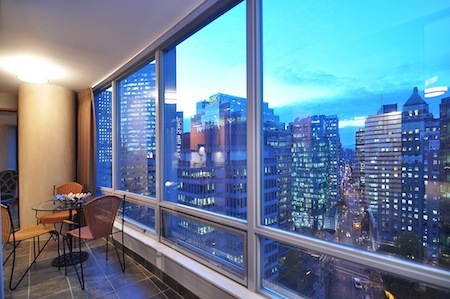 Whether you are travelling for business, or pleasure, alone or as a couple, you will find this luxurious Paris inspired condo perfect as a choice alternative to an impersonal hotel. 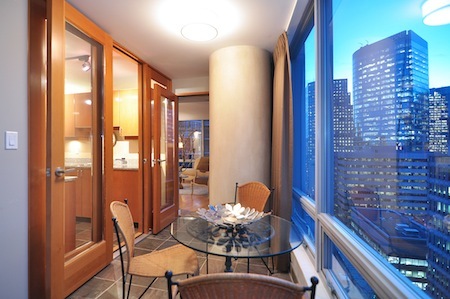 Your private condo's prime location makes it convenient to the best shopping, sightseeing, and restaurants in the city. 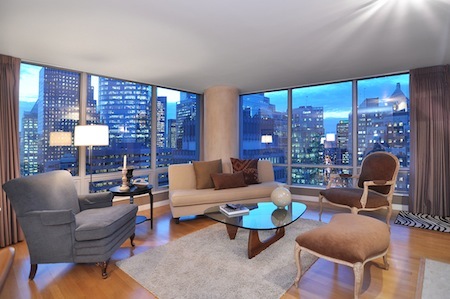 Inside the Pied-a-Terre, you will find a spacious, well designed elegantly and luxuriously furnished condominium living space resembling an upscale Parisian flat. 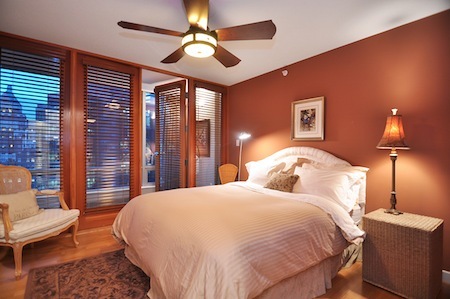 The bedrooms are the perfect resting place with the master bedroom boasting a king size bed, night stands with lights and an ensuite, also overhead fans for your comfort. 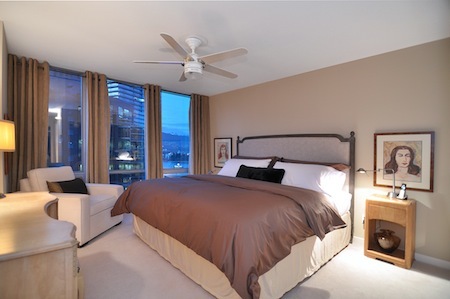 The second bedroom has a wonderfully comfortable queen sized bed also with side tables and lamps. 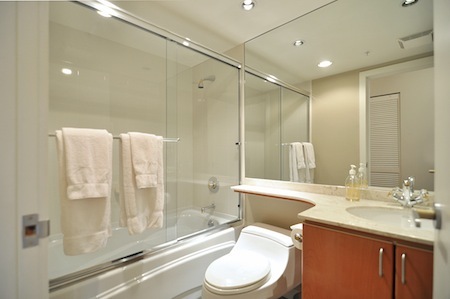 With the condo sporting two bathrooms with bathing facilities, it is perfect for more than one person. 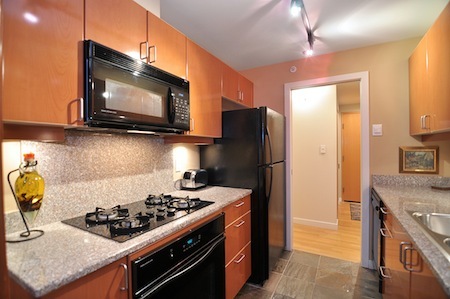 The well equipped kitchen offers everything you could possibly need. A little seating area off the kitchen in the enclosed patio to watch the city unfold as you sip on your morning coffee or tea. A state of the art television and separate CD player for your relaxation and enjoyment. 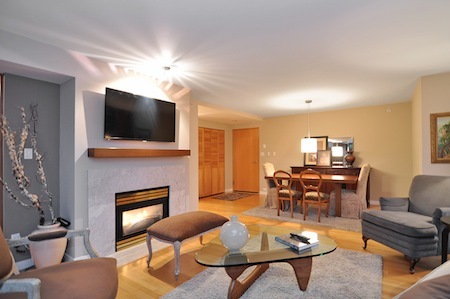 The living room is tastefully decorated including a gas fireplace for a warm and cozy evening. 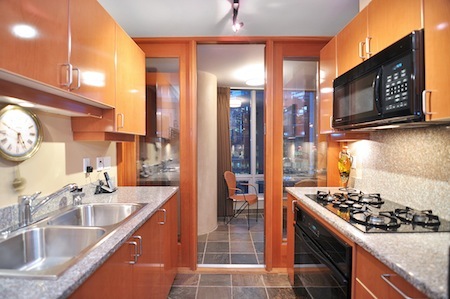 The Downtown Pied-a-Terre, your home away from home, offers all the benefits of your own home. 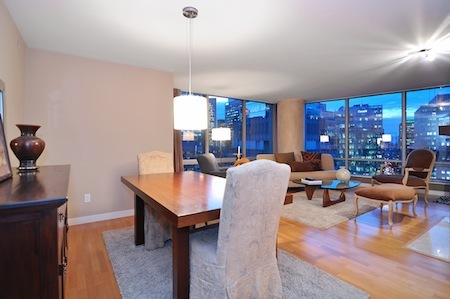 This amazing condo is ideally located in the heart of downtown Vancouver. 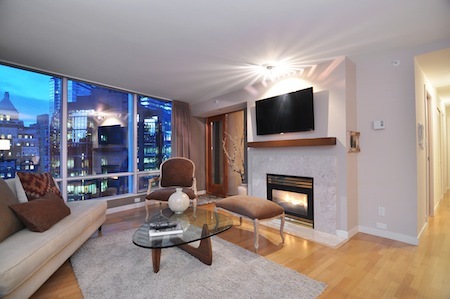 An 8 minute walk to one of the most prestigious shopping malls in the city, and walking distance to the art gallery and waterfront. 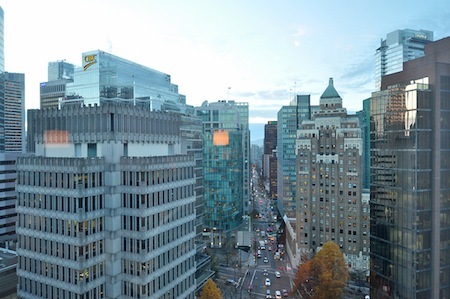 A stone's throw away from historic Gastown and a short jaunt to Stanley Park. The sea bus and rapid transit are literally at your doorstep. 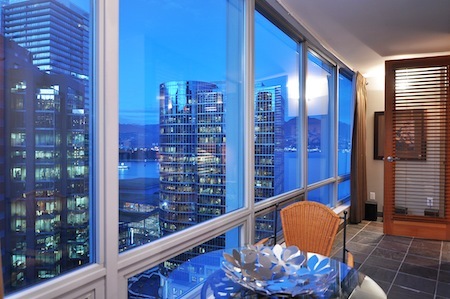 Surrounded by world class restaurants, some of the favorites close by include, Steamworks, Salt, The Water Street Cafe, The Italian Kitchen, Black and Blue and many more. 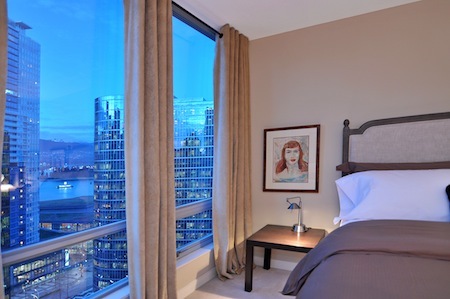 You will never be disappointed at the Downtown Pied-a-Terre. Enjoy!